Forty-five years ago today — April 4, 1968 — the final qualification flight of the Saturn V launch vehicle and the Apollo spacecraft launched from the Kennedy Space Center. 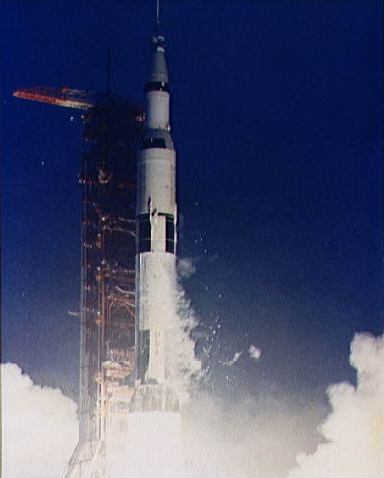 Two minutes and five seconds after launch, the Saturn V structure underwent a severe pogo oscillation, without damage to the spacecraft structure. Due to a manufacturing flaw and unrelated to the pogo oscillations, structural panels were lost from the lunar module adapter. Finally, after the completion of first stage firing and part way through the second stage burn, two of the five second stage J-2 engines shut down prematurely. The planned 175 km circular Earth orbit was not achieved, instead, after completion of the third stage burn, the spacecraft was in a 172.1 x 223.1 km, 89.8 min orbit. After two orbits, the third stage failed to reignite as planned, so the Service Module propulsion system was used to boost the spacecraft to an apogee of 22,225.4 km, from which the planned lunar reentry simulation took place at 36,025 km/hr, slightly less than the planned velocity of 40,000 km/hr. The Command Module splashed down 80 km off target 9 hr 50 min after launch and was recovered in good condition. Fifteen years later, on April 4, 1983, the Space Shuttle Challenger launched from the Kennedy Space Center on its first flight, mission STS-6. Astronauts Paul J. Weitz, Karol J. Bobko, Donald H. Peterson and Story F. Musgrave spent 5 days in space and deployed the first Tracking and Data Relay Satellite. The STS-6 mission was not without its problems. The Inertial Upper Stage placed TDRS-1 in the wrong orbit, and later the satellite’s own thrusters were used to put it into the correct orbit (much like the service module’s thrusters being used on Apollo 6, and some recent spacecraft which have been recovered by judicious use of on-board propulsion). Nevertheless, the overall STS-6 mission was successful and featured the first spacewalk from a Shuttle. Here’s hoping we soon catch up to the future! 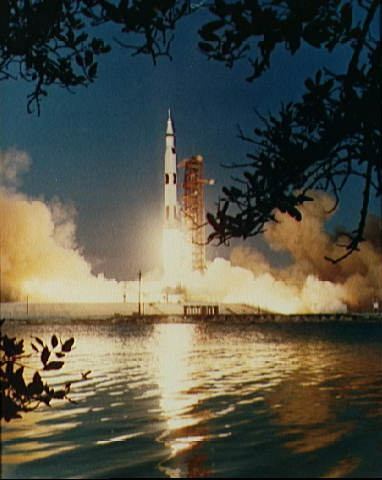 Fifty years ago today — March 28, 1963 — the Saturn-Apollo 4 mission was launched from Cape Canaveral. 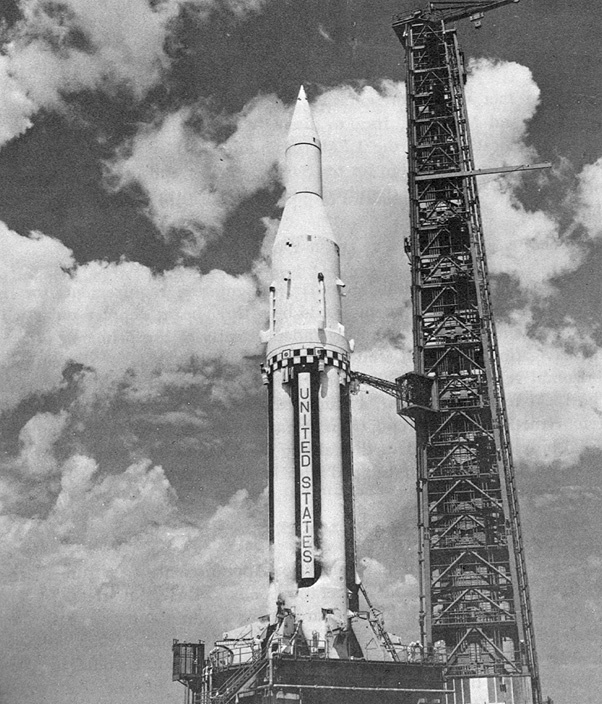 Saturn-Apollo (SA) 4, or Apollo SA-4, was the final “Block 1” Saturn test, the last of four test launches of the Saturn rocket’s first stage. The rocket was launched on a sub-orbital flight to an altitude of 129 km and a peak velocity of 5906 km/hr. After 100 seconds of flight, a pre-set timer cut off engine no. 5 as planned to test the “engine-out” capability of the booster. Fuel was successfully routed to the other seven engines and the flight continued. Also on this date in space history, 30 years ago, the first of an advanced series of remote-sensing spacecraft, NOAA 8, launched into a polar orbit atop an Atlas E rocket out of Vandenberg AFB. Unfortunately, the satellite did not live out its two-year planned operational life: it failed in June 1984. Finally, 10 years ago today — March 28, 2003 — Japan launched a pair of reconnaissance satellites, IGS (Information Gathering Satellite) 1A and IGS 1B, from Tanegashima Space Center on an H-2A rocket. According to the National Space Science Data Center, “One of the two spacecraft uses optical cameras with a resolution of one meter; the other uses synthetic aperture radar to provide images at a resolution of a few meters,” but it is unclear which satellite carried which sensor. Forty years ago today — November 14, 1969 — astronauts Charles Conrad, Jr., Alan L. Bean, and Richard F. Gordon, Jr., blasted off atop Saturn V rocket SA-507 on Apollo-12, the second lunar landing mission. President Richard Nixon attended, and became the first U.S. President to attend a launch. On the ascent, the Saturn V was hit by lightning while it passed through a low cloud. This was the first such event in the program; the electrical discharge passed through the Saturn vehicle to the ground. After NASA confirmed the lightning had done no damage, the crew proceeded to the Moon. First time the surface crew went out on two EVA periods. Apollo Lunar Surface Experiments Package (ALSEP) deployed for the first time. First time a geologist planned lunar surface activities in real time. First-ever return of spacecraft parts from the lunar surface: from the Surveyor-3 lander. First multi-spectral imagery of lunar terrain from lunar orbit. 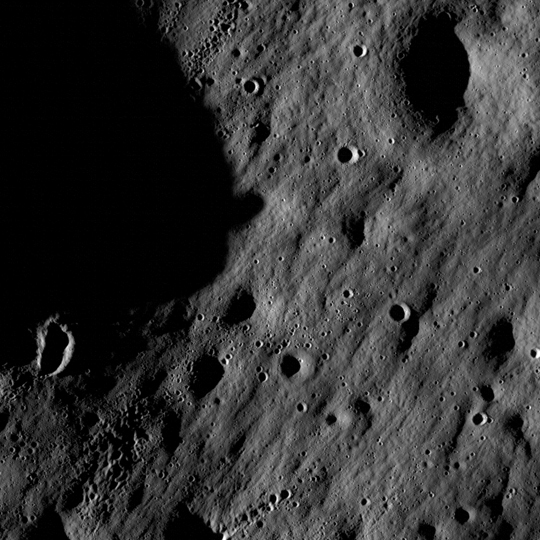 That was then, and this is now: If you didn’t catch the news from NASA yesterday, the recent LCROSS mission confirmed the presence of water in the shadowed crater Cabeus at the Moon’s south pole. This is great news for future lunar exploration — and for those of us who have written stories about lunar exploration! Forty years ago today — July 16, 1969 — Neil A. Armstrong, Edwin E. “Buzz” Aldrin, and Michael Collins launched from the Kennedy Space Center aboard a Saturn V booster (number SA-506) on Apollo-11, the first manned mission to land on the moon. I’m not old enough to remember President Kennedy and his bold proposal to land men on the moon and return them safely to earth. I wish I remembered more about the lunar landings as they happened, but memory is a fickle thing and my childhood memories are fleeting at best. First lunar landing and return mission. First test of landing radar and other landing systems on the Lunar Module under operational conditions. First lunar surface extravehicular activity (EVA). First human foot print on the lunar surface: Neil Armstrong’s left foot. 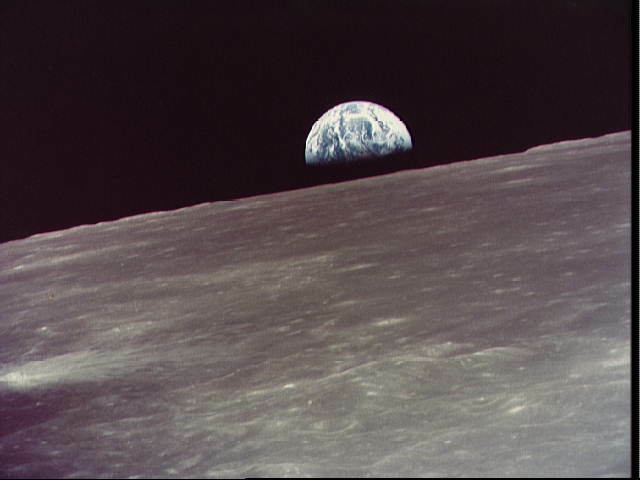 First man-made items on the lunar surface, including: the first seismometer, first laser reflector, and first solar wind experiment deployed on the Moon. 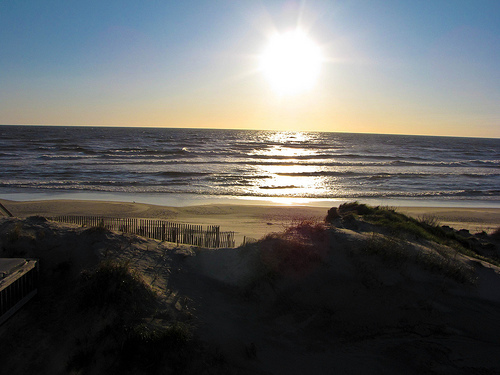 First lunar soil and rock samples returned to Earth. First use of mobile quarantine facility. First use of the Lunar Receiving Laboratory at the Manned Spacecraft Center (now Johnson Space Center). If you want to learn more, NASA’s Human Space Flight Office has a good web page about Apollo-11, and the “We Choose the Moon” site is a nifty interactive tribute to the mission. I don’t know if it’s because of the Apollo program and the space enthusiasm that permeated the country when I was young, or because of STAR TREK, Robert A. Heinlein, Larry Niven, and the many science fictional adventures I enjoyed, but when I look at the moon I still want to go there, live there, explore and build there. 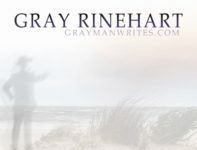 And since I can’t do that in real life, I do it in my imagination and in my stories — even if only I and a few friends will ever enjoy them. So Godspeed, Apollo-11, and thanks. 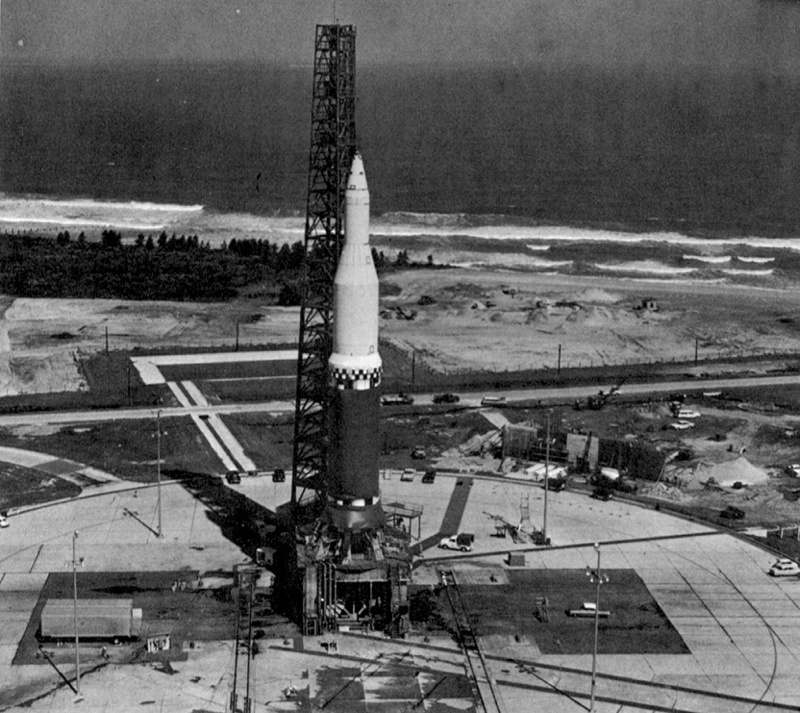 In our second item, a Saturn rocket — designated SA-6 — launched from Cape Canaveral on this date in 1964. 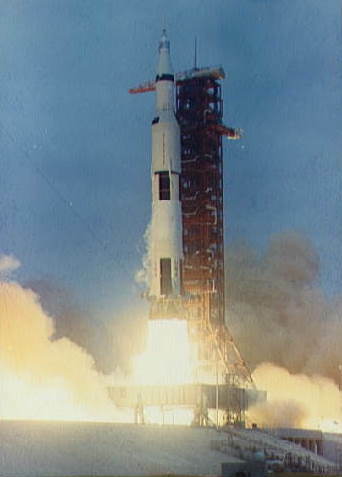 The unmanned launch tested the rocket and spacecraft components for the Apollo mission to the moon. It did not, however, carry any monkeys. You can read more about Able and Baker on this Smithsonian page or in this NPR article. 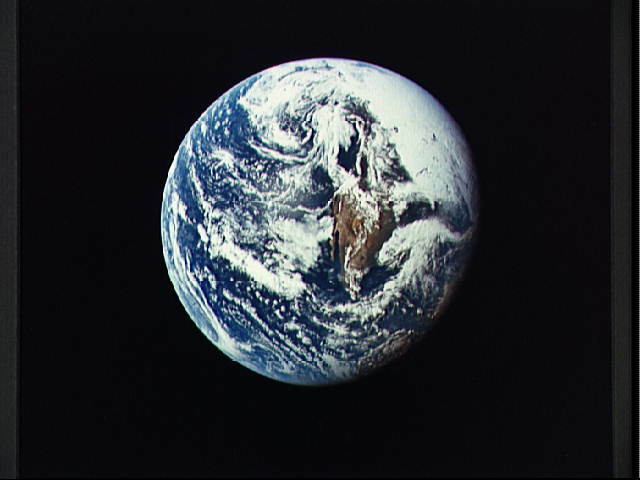 Images from the Johnson Space Center Digital Image Collection.